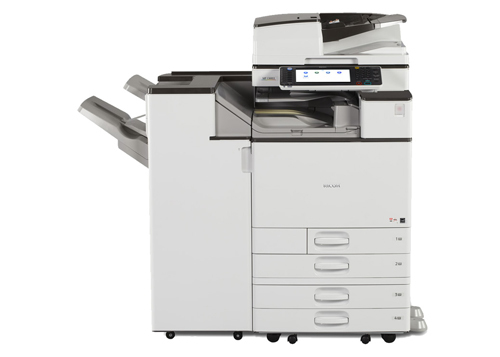 This powerful and innovative MFP delivers high-quality, monochrome or color output at up to 60 ppm for incredible throughput. 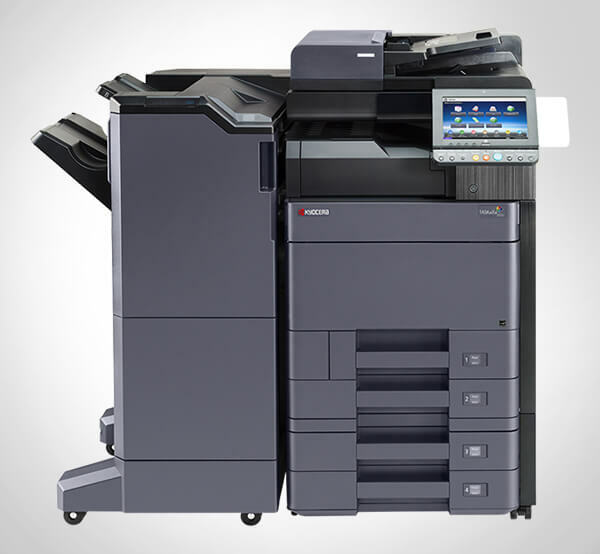 The MP C6003, comes standard with a 220-Sheet Single Pass Document Feeder (SPDF). The MP C6003 comes standard with a large 9", tiltable Color Control Panel with a customizable home screen and the ability to create one-click shortcuts for frequently used applications. The MP C6003 can print from many mobile devices, including smartphones, tablets or laptops, without device-specific drivers for incredible on-the-go convenience. The MFP recalibrates as documents are processed for more stability with minimal color deterioration. Every page is delivered with crisp, vibrant, affordable color using patented PxP® toner at up to 1200 dpi - even on thicker paper stocks up to 300 gsm/110 lb. cover. Use a Web browser to access system settings and address books or configure and monitor an entire fleet of Ricoh devices - right from your desktop. With a powerful processor and ample RAM, the MP C6003 enables your entire workgroup to produce impressive, fast-paced output. The optional built-in Web browser connects to Ricoh's Integrated Cloud Environment (ICE) so users can scan documents, share files, print on the move and more without expensive, onsite software solutions. Optional 10.1" Wide Super VGA Smart Operation Panel offers the functionality and performance of today's smartphones and tablets. Featuring drag-and-drop, pinch-and-flick functionality and swipe scrolling, it allows users to quickly move from one task to the next with unprecedented ease. It includes convenient widgets for quick updates on the date, time and toner levels. The new panel also offers advanced Web Browser functionality on par with today's personal computers. The MP C6003 includes user authentication to help prevent unauthorized access.